John Mize was born on January 2, 1939, in Shreveport, Louisiana. 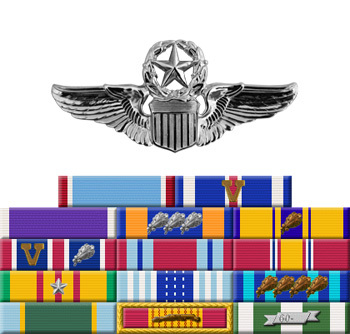 He graduated from Northwestern State College in Natchitoches, Louisiana, with a bachelor's degree in business administration in 1962, and then entered Officer Training School at Lackland AFB, Texas, on September 28, 1962, graduating with a commission as a 2d Lt in the U.S. Air Force on December 21, 1962. Lt Mize next served with the Mail and Records Division at Headquarters Lowry Technical Training Center at Lowry AFB, Colorado, from January 1963 to October 1964, followed by service as an Air Force Recruiter in Minneapolis, Minnesota, from October 1964 to June 1966. He then completed Undergraduate Pilot Training and was awarded his pilot wings at Reese AFB, Texas, in June 1967, followed by B-52 Stratofortress Combat Crew Training from June to November 1967. Capt Mize served as a B-52 pilot with the 77th Bomb Squadron of the 28th Bomb Wing at Ellsworth AFB, South Dakota, from December 1967 to February 1973, and during this time he participated in Arc Light and Linebacker I & II bombing missions in Southeast Asia from January to July 1968, September 1969 to February 1970, February to July 1972, and August to December 1972. 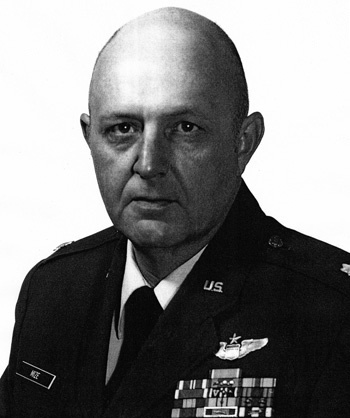 Maj Mize next served as Officer in Charge of the Quality Control Section with Headquarters 28th Bomb Wing at Ellsworth AFB from February 1973 to June 1975, followed by service as Maintenance Control Officer for the 93rd Bomb Wing at Castle AFB, California, from July 1975 to June 1978. His final assignment was at Ellsworth AFB where he retired from the Air Force on August 1, 1984. John Mize died on June 15, 2012, and was buried at the Belmond Cemetery in Belmond, Iowa. The President of the United States of America, authorized by Section 8742, Title 10, United States Code, awards the Air Force Cross to Captain John D. Mize for extraordinary heroism in military operations against an opposing armed force as a B-52 Aircraft Commander, 307th Strategic Wing, U-Tapao Airfield, Thailand, on 27 December 1972. On that night, while attacking a heavily defended target in North Vietnam, Captain MIze's aircraft was severely damaged by surface-to-air missiles. Captain Mize realized that abandonment of the aircraft by the crew members over enemy territory would jeopardize their safety. Without regard for his personal safety, he remained at his station to insure that his crew had the best opportunity for safe egress over friendly territory. Through his extraordinary heroism, superb airmanship, and aggressiveness in the face of the enemy, Captain Mize reflected the highest credit upon himself and the United States Air Force.